Dream up what is next. I learned a long time ago that people don’t have to understand me, because I understand myself. So, I want to share this with all of you. Knowing and adopting this, has helped me through some interesting times. This mantra I have held onto has applied to virtually every area of my life. Love, widowhood, rebuilding, loving again, becoming a mom, career, and overall outlook! I say it out loud at times as a reminder. 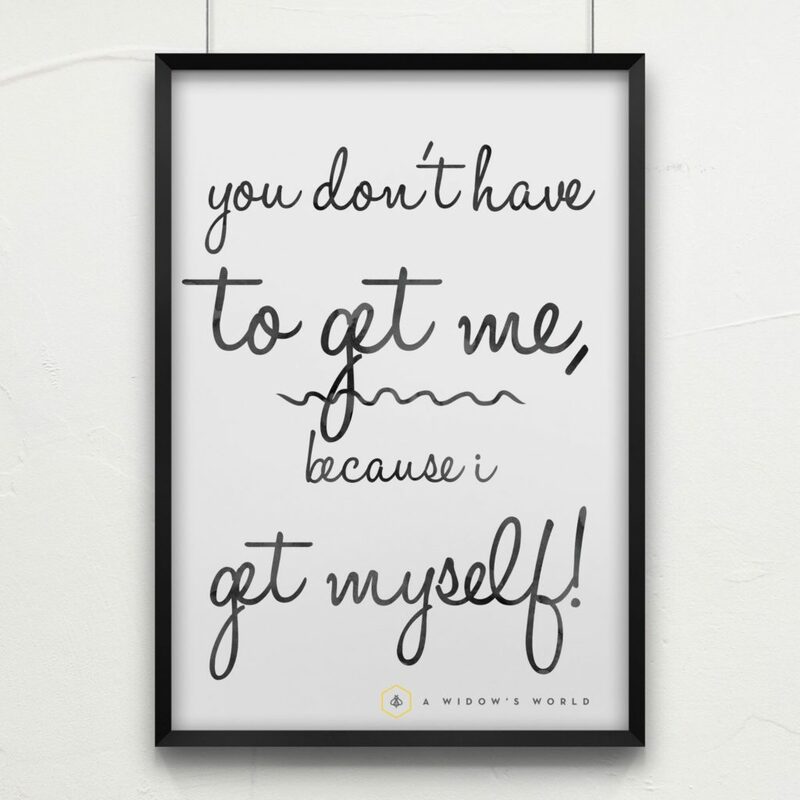 You don’t have to get me, because I get myself. I have found understanding and adopting this, has allowed me to remain open to dreaming up my what is next. So many times we hear the chirping of others opinions and others wants for us. People often need to have an explanation in detail of plans, of how we feel, and what we think is ahead. I will ask you this, is having everything figured out really necessary? Do we really believe that people who have spearheaded to what’s next, did so by having everything planned out? I personally have learned, planning for things is a gamble and what you think and plan for may never happen. Having every detail of my life planned and organized at this point of who I am, is just not an option for me. I think it makes me crazy to even think about planning it all out. I SIMPLY DON’T WANT TO! The chirping, that lets face it, can and will happen. What you hear from others can start to fester and disrupt the excitement that was building, growing, for the what is next. We MUST ignore chirping. We can acknowledge it to a certain degree, but just acknowledge. We can say, you do not need to understand, but if you know me, trust me. Trust in me to know that the next step I take is a part of my WHAT IS NEXT. My next may lead to something not expected, but that not expected may set me on the right path. Never be afraid to dream up what is next. I have let chirpings happen. If we are honest with ourselves, we all have. We may not listen to the chirping, but it likely has caused hurt or made us stop and questions ourselves. This can cause the super high to spiral to a super low. What I have come to find in my life is that no matter what others say or feel for me, the most important thing I remind myself is, I BELIEVE IN MYSELF. I BELIEVE IN ME AND WHAT I AM CAPABLE OF. People don’t have to understand or get me, because I get myself. Period! I have started over unwillingly and unexpectedly in my life and pushed myself. There have been wrong roads I have taken. Those wrong roads have lead me to the right roads. I have never stopped opening my mind and being optimistic of my what’s next. My hope is the same for all of my followers. Challenge yourselves to never be afraid to think up your what is next. There are people in this world that are comfortable and the known is the safe for them. I pray those people don’t cause you to stop believing in you and what you can have for your what is next. I see so many in this world going through seasons of transition, transcendence and transformation. I believe we are all here to expand and grow beyond our own comforts. So I pray you never get too comfortable to where you stop allowing yourself to grow into your true self! Have a beautiful day and dream up your what’s next! Please follow me on Instagram, Facebook and Twitter @awidowsworld.